Some U.S. TV shows could disappear from Canadian networks as U.S. broadcasters set up their own streaming services. Streaming services will surpass cable as the number-one way Canadians watch TV within two years, a new report says. Amid this shift, Canadian broadcasters will face heavy competition for popular U.S. programming, and some shows may disappear from traditional Canadian TV stations, as U.S. broadcasters set up their own streaming services in Canada, the report from B.C.-based Convergence Research Group suggested. It paints a picture of a booming streaming industry in Canada, and a struggling cable and satellite business. Watch: What's new on Netflix Canada in May, 2018? Revenue for streaming services in Canada jumped by 29 per cent in 2017, the report said, to $872 million. Meanwhile, cable and satellite revenue tumbled by 2 per cent, to $8.74 billion. The report forecasts revenue from streaming will jump another 27 per cent this year, while cable/satellite revenue is expected shrink again, by one per cent. As of the end of last year, there were 4.14 million Canadian households, or about 28 per cent, that were cord-cutters or cord-nevers (i.e., never had cable). That's up from 3.8 million, about 26 per cent, a year earlier, the report found. 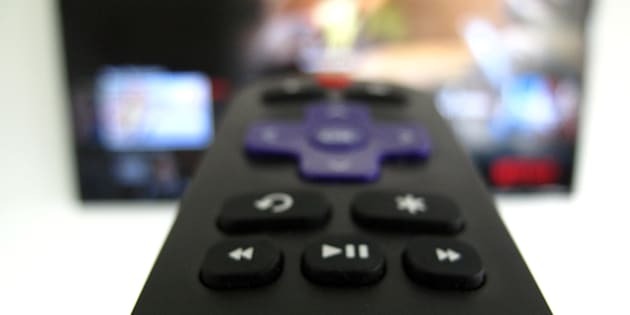 "We forecast in 2020 there will be more (streaming) subscriber households than TV subscribers in Canada," the report said. It made a similar forecast for the U.S. where it says streaming will "far surpass" cable by 2020. The growth in Canada comes despite the fact the country has roughly half as many streaming options as the U.S. But that's changing quickly, as more streaming services set up shop north of the border, the report noted. These U.S. services could outspend Canadian broadcasters to win the rights to U.S. shows. "Amazon, Apple (which we expect will launch (streaming) soon), DAZN, Netflix all have deep pockets and can outbid Canadian broadcasters," Convergence president Brahm Eiley said in an email to HuffPost Canada. Additionally, traditional U.S. broadcasters are setting up their own streaming services, and some of those are headed to Canada. CBS announced earlier this month that it is launching its CBS All Access streaming service in Canada, and the Convergence Research report notes that Disney may also launch streaming here in the near future. The logo of CBS All Access, CBS' streaming service which announced in April it is expanding into Canada. If that were to happen, those streaming services could keep some popular U.S. shows to themselves, rather than selling them to Canadian broadcasters, or to other streaming services. "CBS CEO Les Moonves said publicly last year that CBS would keep certain content just for CBS All Access. Disney has also made clear that their 2019 (streaming) service will also have exclusive programming," Eiley wrote. So the real question, the report argues, is how much content U.S. broadcasters will keep for their streaming services, and how much they will be willing to sell to broadcasters and other streaming services. Certainly not all the content will end up on the U.S. broadcasters' streaming services. CBS All Access, for example, is launching in Canada without its anchor program, "Star Trek: Discovery." Bell Media owns the rights to that show in Canada, where it airs on the Space channel and is available on Bell's CraveTV streaming service. "​​​Bell has been very successful and strategic in keeping HBO, Showtime and Starz from going direct to consumer on their own, making deals with each of them for CraveTV and for their linear services," Eiley noted. U.S. broadcasters "do not want Canadian programmers to sink too quickly given the revenue that comes from programming sales to them," the report noted. But survival for Canada's traditional TV broadcasters may depend on finding an international audience, Eiley said. "Broadcasters will need to produce content that can also be sold to other markets or find ways to obtain or produce programming more economically." Eiley said the cord-cutting trend "will continue. The war between large independent providers like Amazon and Netflix, and large U.S. programmers including CBS, Disney and Time Warner, is not going away."